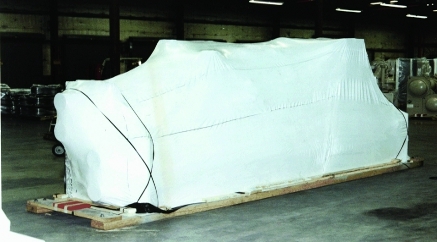 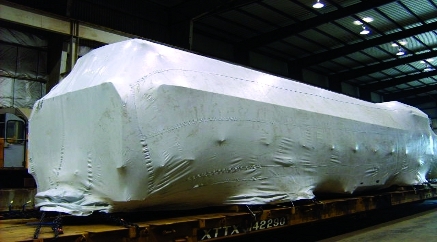 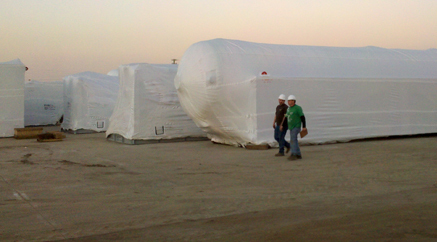 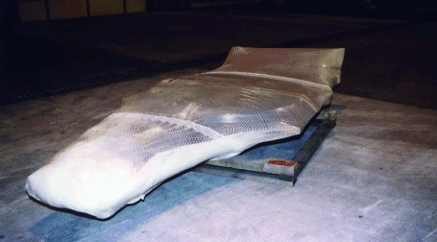 Heat Shrinkable Shipping & Storage Covers | Reef Industries, Inc.
Griff-Shrink® is a patented multi-ply heat-shrinkable laminate that is heat shrinkable and combines the performance of polyethylene and specialty heat-shrinkable films supported with a reinforcement grid to create a highly tear resistant and durable product. 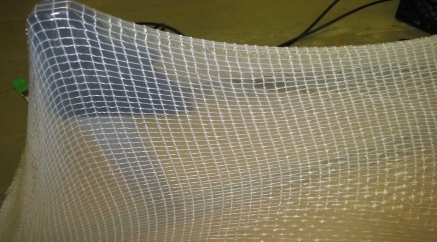 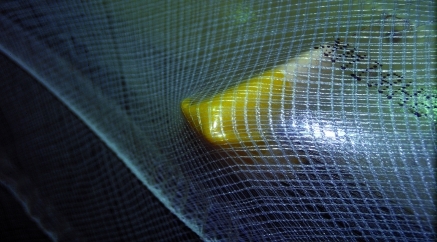 The reinforcement grid provides a uniform tear resistance in all directions. 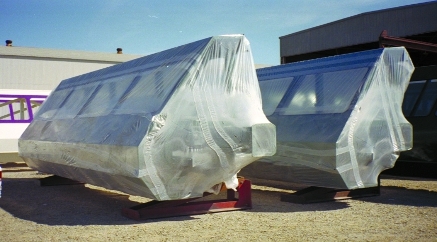 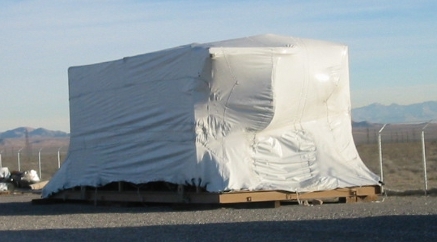 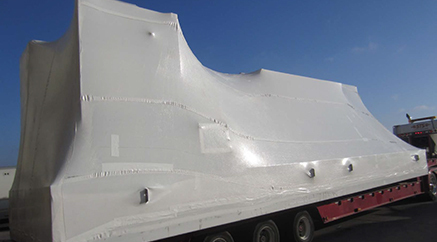 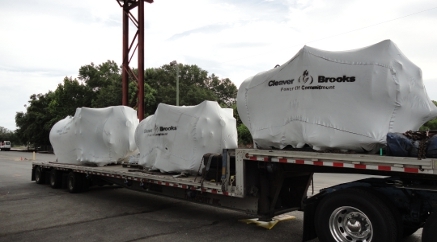 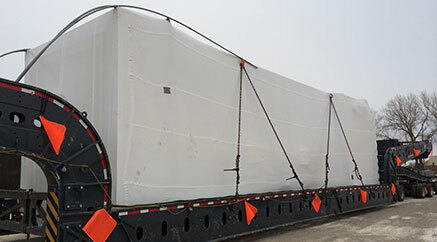 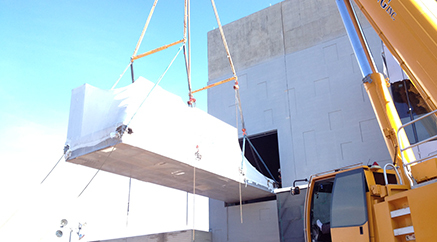 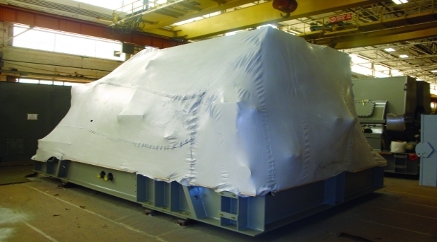 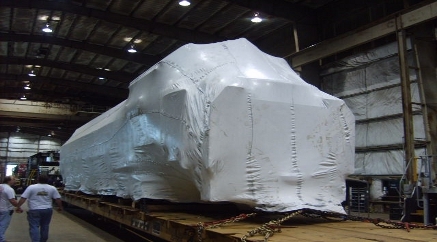 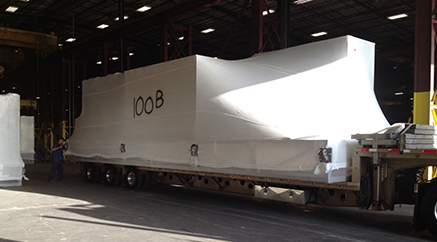 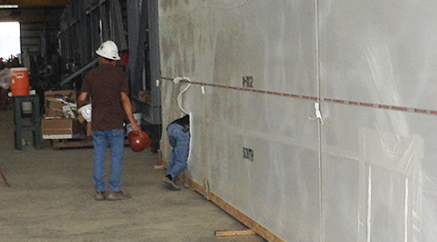 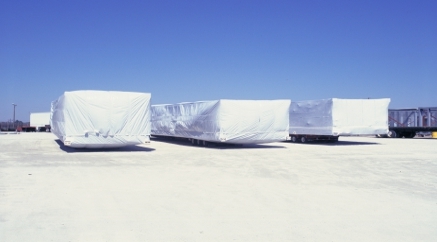 Griff-Shrink® is ideal for transporting large over-the-road flatbed shipments while protecting machinery and equipment from damage and corrosiofn. 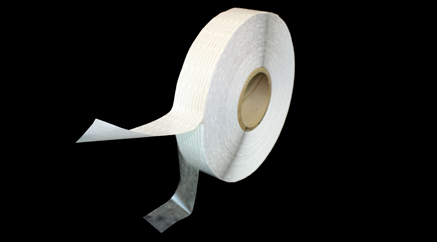 Several grades of Griff-Shrink® are available to provide the optimum in cost/benefit for an extensive range of packaging applications. 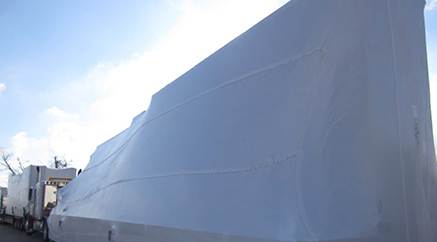 Griff-Shrink® 3-ply VCI consists of layers of UV stabilized polyethylene, cord reinforcement and high-strength shrinkable film. 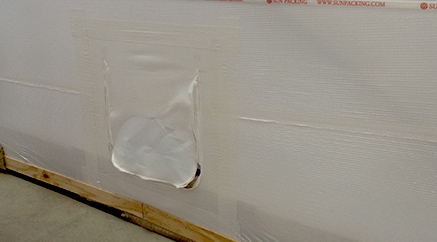 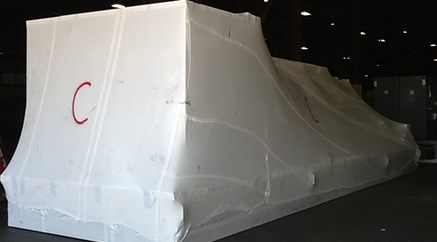 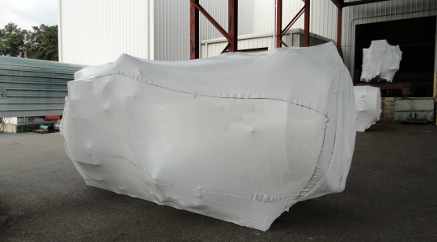 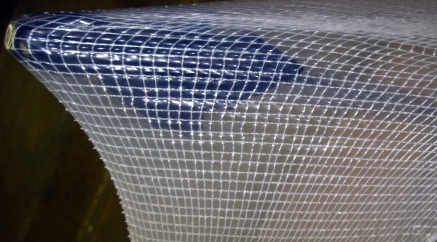 Our 5-ply VCI product combines alternating layers of reinforcing between three layers of specialty shrink films and polyethylene for a heavy-duty cover. 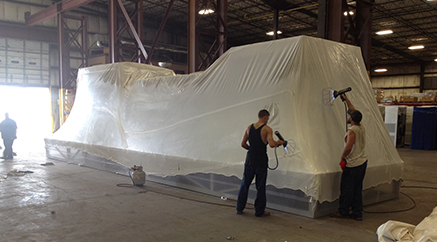 Griff-Shrink® TX-1600FR UVS is ultraviolet light stabilized, heat shrinkable, reinforced and fire retardant to meet safety requirements around critical materials or work areas.